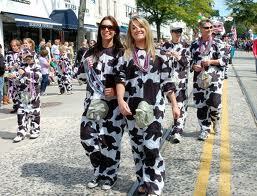 The Great Cow Harbor 10k Race and Cow Harbor Day is a fun filled weekend for runners and their families. With Historic Northport Harbor as the backdrop for the event, runners can look forward to a scenic route through the quaint village and a range of activities for their children and family. 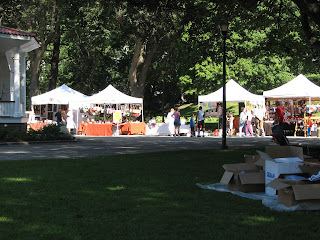 There is a post race reception, a parade, craft fair, street vendors, antiquing, and much more. There aren't many road races that offer this much excitement for the whole family. The run itself is nationally ranked by Runner's World and ESPN, however there is also a fun run for children and adults who aren't as competitive. 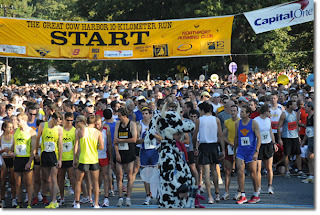 Runners compete individually and on teams, many of which raise donations to benefit various charities. This race is very sentimental to me, one that I wrote about in my book and I look forward to it every year. Come out and join me, or better yet join my charity team and help me raise donations for the American Heart Association. Register here, and then join our fundraising team here.